Handles are most Functional art form in a decor, The team of Artistick’s Embarks on handles in Different Styles Spanning from traditional to Contemporary. Artistick’s proposes to Create new Designs in Regular intervals. 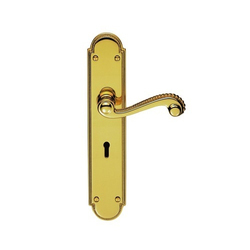 We have been able to offer high quality Brass Door Handles to our clients. These handles are manufactured using the best quality of raw materials as per the existing industrial norms and guidelines. These handles are rust-resistant and sturdy. We supply these to clients in a wide range of specifications at affordable prices.